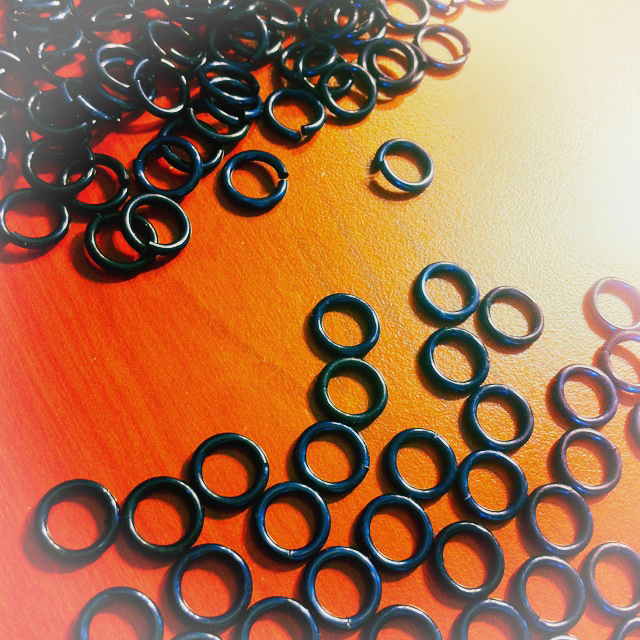 STEP 2: Sorting the jump rings. 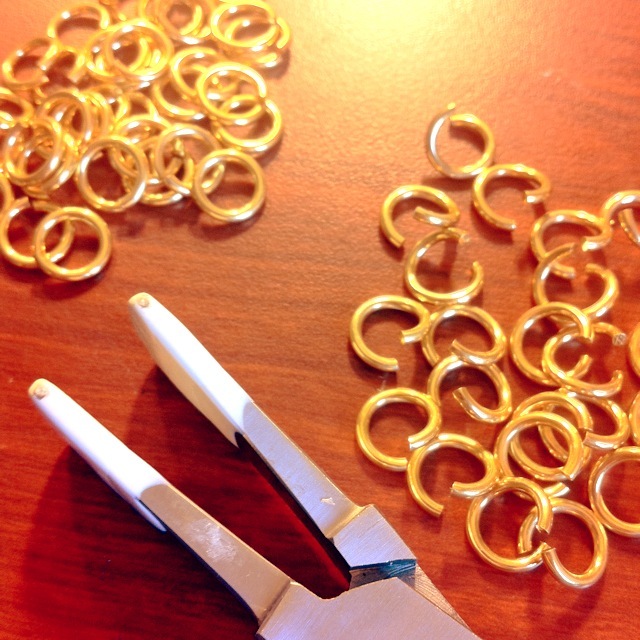 (I set the imperfect jump rings aside and use only them when I am learning a new chainmaille weave). 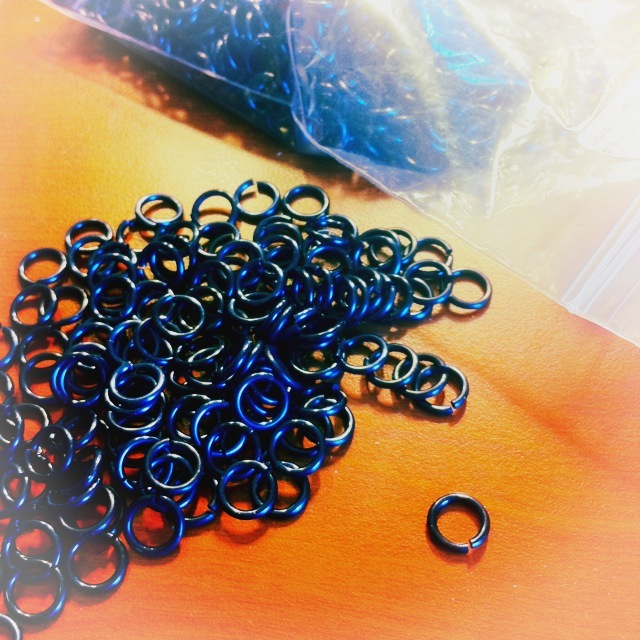 STEP 3: Pre-closing the black anodized aluminum jump ringsas neatly as possible. 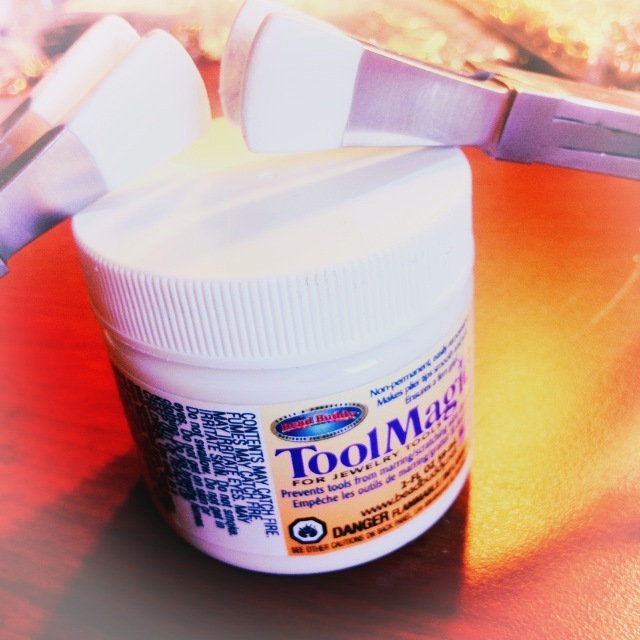 STEP 4: Opening the gold anodized aluminum jump rings. 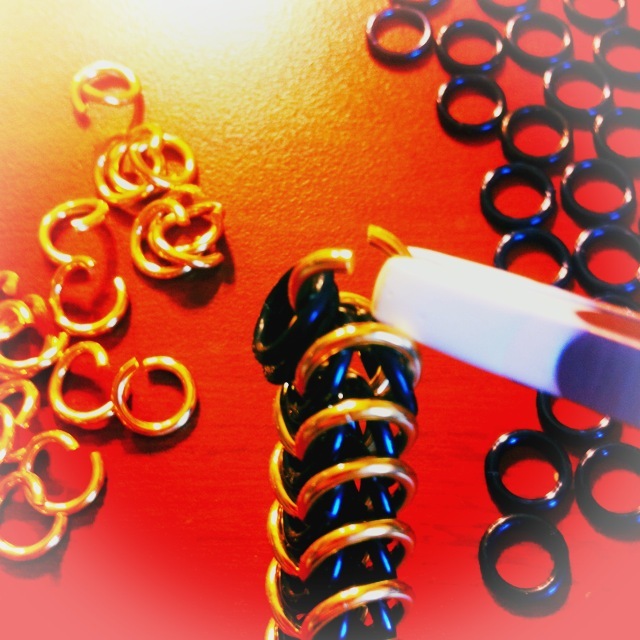 STEP 5: Weaving the jump rings. (This weave is called box chain. I learned this weave from Rebeca Mojica’s Book: Chained, but you can learn it for free by watching this YouTube tutorial or reading this free online tutorial instead). 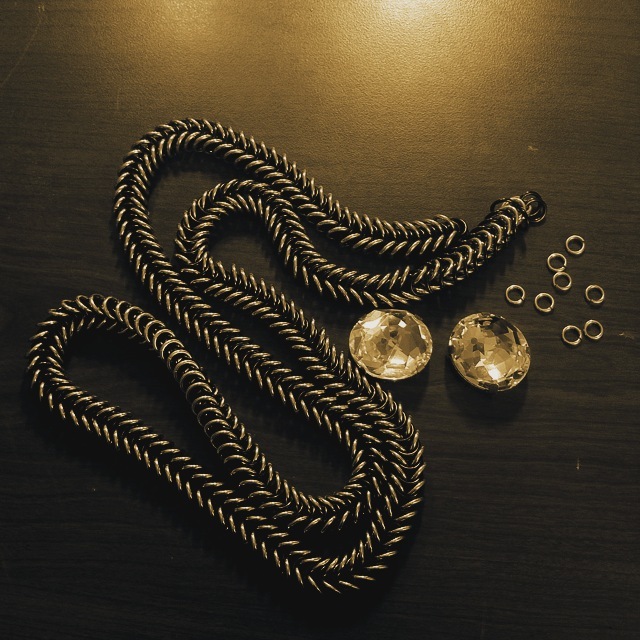 STEP 9: Create two more handwoven links (by repeating step 2 – 5) , twisting & linking them onto the center front part of the statement necklace, and connecting the ends of those links to a toggle clasp. Ring counts: Approx. 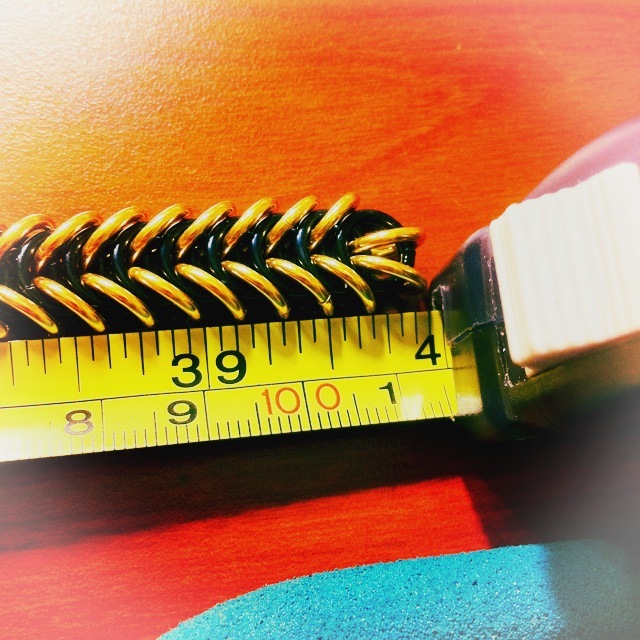 20 rings per inch. 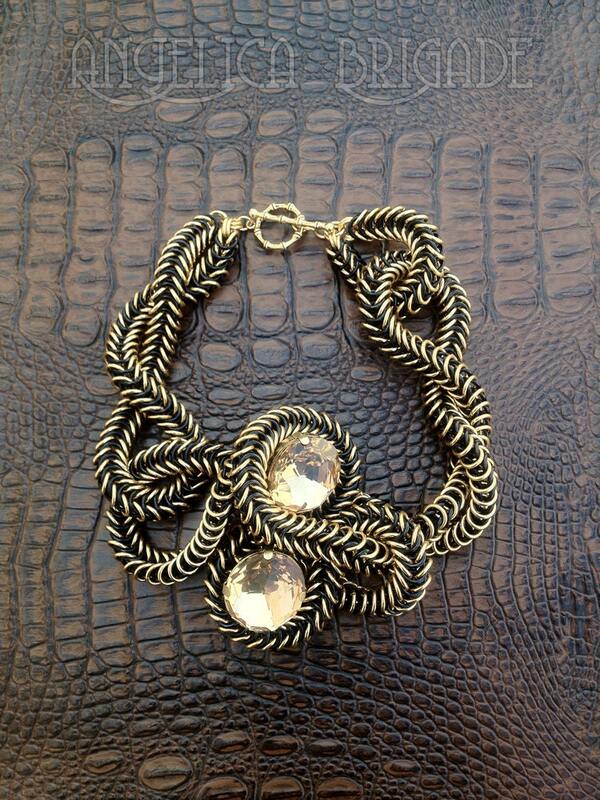 Thus, to create this type of statement necklace, I need to use more than 1200 pieces of jump rings. The time I need to create this type of necklace: More than 12 hours. Oh wow! What a beautiful necklace! Worth every single minute spent on it. This is awesome!! What size jump rings did you use? I MUST recreate this! I want to buy this necklace. I can make a very similar (though not identical) piece within 2 weeks.